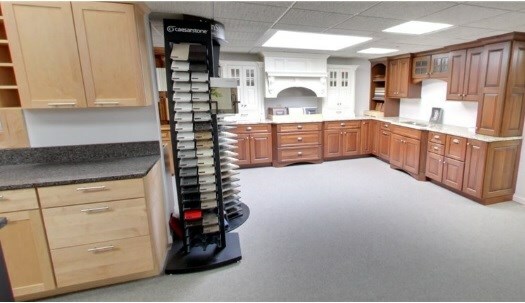 If you're looking for an extensive supply and a wide array of design options for Palatine wholesale cabinets, then Lakeland Building Supply is where you should start. Whether remodeling your entire home or business or just giving your kitchen or bathroom a facelift, we offer a high-quality selection of wholesale cabinets for you. Our selections of wholesale cabinets are names that residents and businesspeople of Palatine can depend on: MidContinent Cabinetry, Omega Cabinetry, Shiloh Cabinetry, Dynasty Cabinets and Top Knobs. No matter what size your upcoming project may be, you can rest assured when working with the Palatine experts of Lakeland Building Supply for your wholesale cabinets. Get in touch with us or visit our showroom today to see for yourself the many different options available for your wholesale cabinets project. Lakeland Building Supply offers a remarkable selection of Palatine replacement windows and wholesale windows for all residential and commercial needs. High-quality windows will give your property a breath of fresh air and help reduce spiraling energy costs. Lakeland Building Supply offers many brands including Milgard Windows, Kolbe Windows, Lincoln Windows, MI Windows, CertainTeed Windows and Timeline Windows. Whether you're replacing a single window or need to purchase wholesale windows for your entire home or building, Lakeland Building Supply has the replacements you can depend on. Visit our showroom or get in touch with Lakeland Building Supply today to view our options. Our professional staff is ready to help you with any questions you may have about replacement windows or wholesale windows. Lakeland Building Supply carries an extensive range of wholesale doors and replacement doors for both residential and commercial customers. 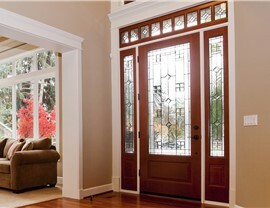 A high-quality door provides security for your property as well as an aesthetic feel for the entire exterior. We carry many impressive brands including Kolbe Doors, Lincoln Doors, Simpson Doors, Milgard Doors, MI Doors, ProVia Doors, Masonite Doors and ODL Decorative Glass. With so many quality choices, you can be confident in knowing that your wholesale doors and replacement doors requirements will be met. Our Palatine company understands the local market and offers the brands you can depend on to meet all of your expectations when shopping for wholesale doors and replacement doors. Visit our showroom or contact Lakeland Building Supply today to speak to someone who is ready and able to assist you in narrowing down your wholesale doors needs. Wholesale siding is an excellent way to keep your home looking great all year round. Lakeland Building Supply offers high-quality siding from brand names that you can trust. 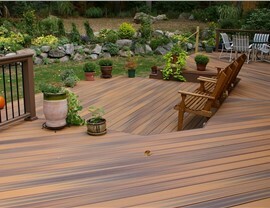 As a local Palatine wholesale siding provider, we understand the oftentimes uncontrollable weather conditions in this region and the need for dependable wholesale siding that will last for many years. We are proud to offer many wholesale siding brands such as NextStone Siding, North Cape Siding, Norandex Siding, RMC Siding, Alsco Siding, Hardie Siding, LP SmartSide Siding, The Foundry Siding, Shakertown Cedar Siding, Nailite Siding and CertainTeed Siding. Get in contact with Lakeland Building Supply or visit our showroom today to view our many different options for wholesale siding in Palatine. Lakeland Building Supply carries all of the wholesale building supplies and wholesale building materials that you need to carry out any project, regardless of size or scope. Whether looking to add value to your home or undergoing a necessary renovation project, we have energy efficient wholesale doors, wholesale windows, wholesale siding and many more offerings designed to help you. Saving energy, and looking great while doing it, is a breeze with the building supplies brands that we offer: Lumberock, NextStone, Mid-America, Atlantic Shutters, Trex Decking, The Foundry, Shakertown Wholesale Building Products, Nailite Wholesale Siding, VELUX, Fypon, ODL Door Glass, OSI Sealants, DuPont Tyvek Building Supplies, GreenGuard Underlayment and Tuscan Manufacturing. For the largest selection of Palatine building supplies, visit Lakeland Building Supply's showroom or get in touch with us so we can help you with your wholesale building supplies requirements today.